The cahow is a seabird and is also called the Bermuda petrel, dwelling only on the east coast of Bermuda. The cahow is actually a petrel, and gets its common name from its eerie mating call. Its wings are long, and its feathers are grayish black or brown and white in color. It has large nostrils enclosed in a tube along the top of its beak. Adults can reach up to 16 inches. The cahow is an open ocean bird and catches its food by diving under water. Diet consists mainly of small squid. The cahow enjoys gliding over the open water most of year, but returns to the land to build nests in October. Females give birth to only one egg and the incubation period lasts 40 to 60 days. Both parents care for the young. The chick remains dependent on the mother for two to five months. Much of the time, the chick is left alone while the parents spend the day searching for food. The main cause of decline was hunting by settlers who considered the species a valuable food source. Excessive hunting reduced the cahow population almost to extinction. It was once thought to be extinct until a breeding population was rediscovered in the 1950s. Other causes of decline include pollution, DDT contamination of its food supply, deforestation, and erosion. The Bermuda Petrel (Cahow) Conservation Program currently monitors cahow breeding islets to protect against human disturbance and colonization by predators and competitor species. The program is also working to expand the number of available nesting sites using artificial burrows. Copyright Notice: This article is licensed under the GNU Free Documentation License. 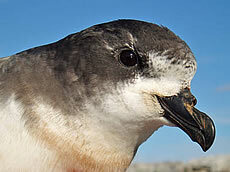 It uses material from the Wikipedia article "Bermuda petrel". Glenn, C. R. 2006. "Earth's Endangered Creatures - Cahow Facts" (Online). 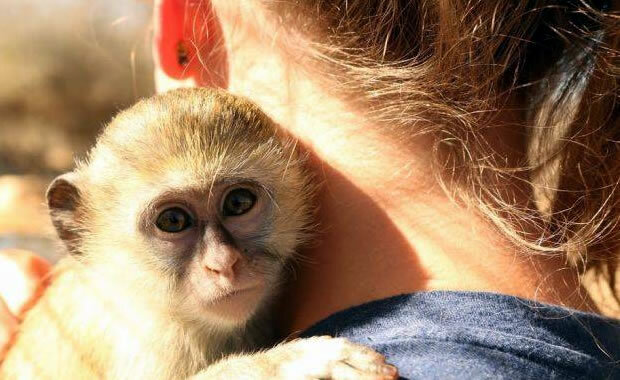 Accessed 4/18/2019 at http://earthsendangered.com/profile.asp?sp=576&ID=10.